OPI’s 2014 Halloween Collection was inspired by Peanuts and includes four new polishes. Although the glitters look like they would have a black tint to the base colour, they actually come out clear on your nails with only the dots and black confetti pieces showing. I painted To be or Not to Beagle over Good Grief! to show you how it looks. I really liked this look as it is unique to many other polishes. I then painted a few spider webs over Good Grief! for a bit of a Halloween look. The yellow is a little thin and I had to use three coats to get good coverage but it was worth it to get it nice and opaque. Just make sure to let them dry fairly well between coats and that will eliminate any change of bubbling. The spider web was really simple to paint. I did three curved lines in the corner of my nail and then did three straight lines through that extended past the third curved line. Then I connected the straight lines that were sticking out with curved lines to finish the web. I am really enjoying this collection and will not only wear them for Halloween, but all occasions! Where’s my Blanket? is one I may have to add to my collection now. Thanks for the post! I quite like that glitter polish – reminds me of holiday confetti! I love these designs. How creative! Love the details on the spider web art! My daughter is going to love this,thanks for sending. I absolutely LOVE that spider web idea. Very cool. These designs are so creative!! I will try spider web on my daughter but i may use fluorescent pink and black!! She’ll love it! 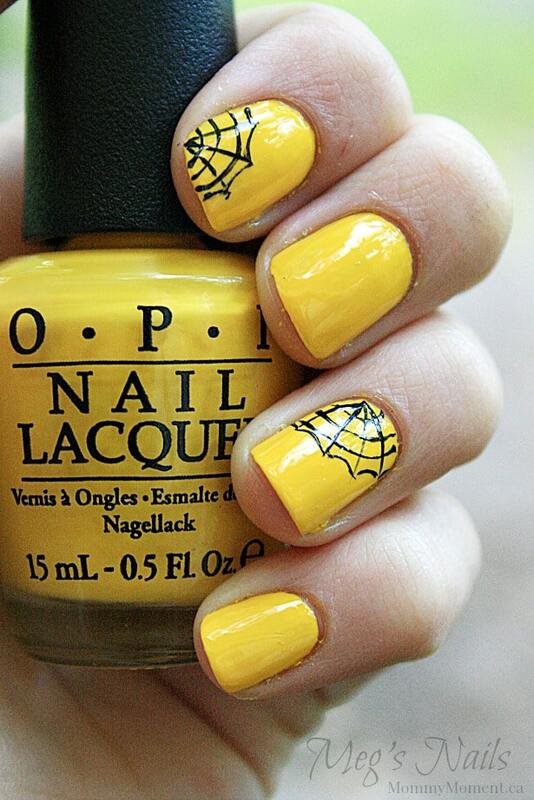 love the spider web nail design! These are so bright and delicately done. I love the color and the spiderweb, that is so neat! i love OPI, the color always come out great and it only need two thin coats. Very nice design for Halloween. She is so great at nail art! I love the spider webs!! these are great! 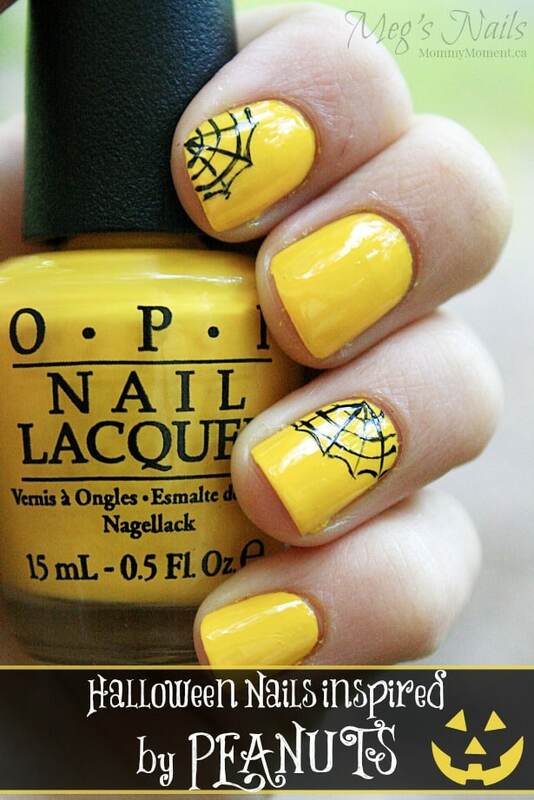 yellow and black are perfect for Halloween! 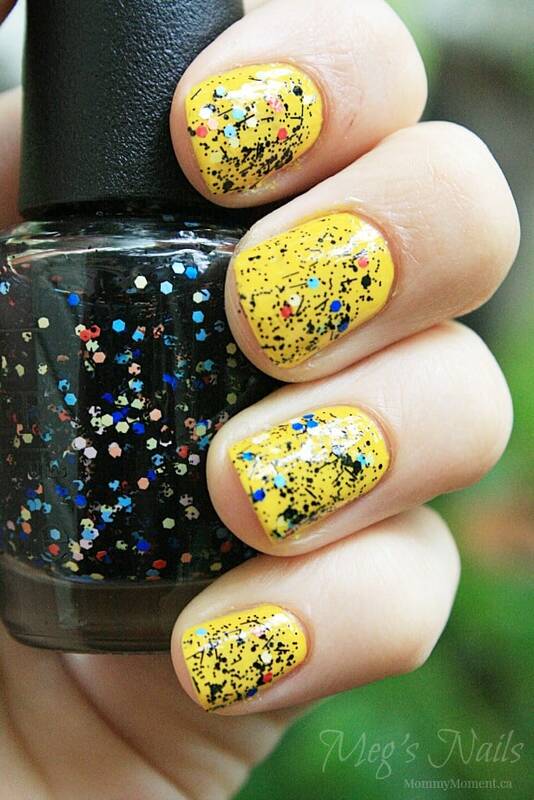 Awesome nail polish! I’d love to have this collection! This would be great for Halloween week at the library without having to dress up in a costume. i absolutely love Peanuts and think it’s so cool they now have a nail polish line! Awesome nail art, my 8 year old daughter wants this done to her nails, we will be giving it a shot!